Tyre pressure 'read as you drive' Jump to media player A UK company has developed a device which can read the tyre pressure of vehicles as they pass over it. UK's first fast-charge electric bus Jump to media player Britain's first fast-charging electric bus is being launched. 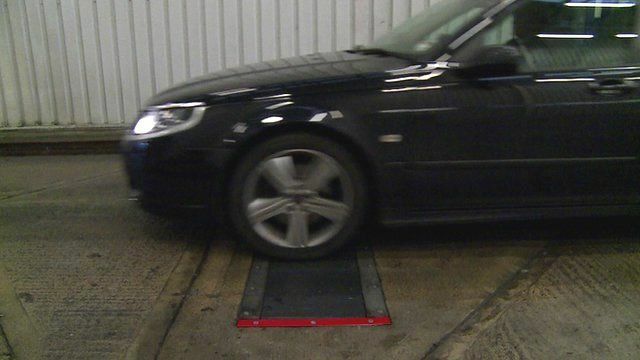 A UK company has developed a device which can read the tyre pressure of vehicles as they pass over it. The device, developed by WheelRight in conjunction with computer scientists from Birmingham's Aston University, is embedded in the road. As vehicles pass over it pressure sensors collect data, which is immediately processed to calculate the tyre pressure of the car, lorry or bus. 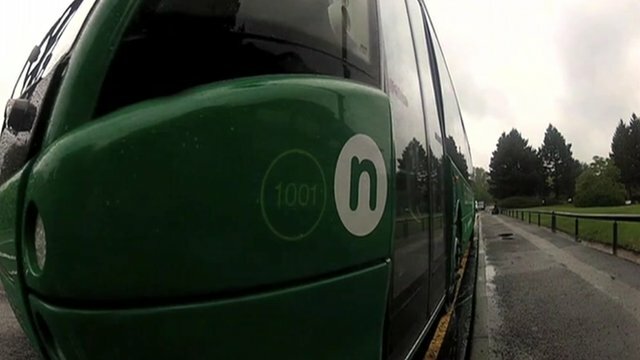 The device is being tested at a Swindon bus depot, where buses pass over the machine at the end of every day's service. If a tyre is low, a message is automatically sent and the tyre manually inflated to the correct pressure. One industry organisation said the idea could have merit. "Good maintenance standards are essential to the safe and efficient operation of heavy goods vehicles," Kate Gibbs, spokeswoman for the UK's Road Haulage Association, told the BBC. "Certainly, in principle, we consider the 'drive-over' system to be a good idea. However, we would want to see firm evidence of its benefits and safety advantages before giving it the 'green light'."